I am looking forward to having a few days off from work so I will have more time to do what I like, including visiting the blogs of my followers and also finding out new blogs ! Thanks a lot for your comments and for your support :-). I have to confess I also miss having some free time to play my Wii console...I love playing videogames ! I am a Nintendo fan and also a SuperMario fan, LOL. Hmmm, blogs, videogames, a passion for sci-fi series...I think I am a bit of a nerd ! ;-) and what about you ?. Non vedo l'ora di avere qualche giorno di ferie per avere più tempo da dedicarmi a fare ciò che mi piace, incluso visitare i blog dei miei followers e anche scovarne altri ! Grazie per i vostri commenti e il vostro supporto :-). Confesso anche di sentire la mancanza di tempo libero per giocare con la console Wii...amo giocare ai videogiochi ! Sono una fan della Nintendo e di SuperMario, LOL !. Hmmm, tra blog, videogames, serie di fantascienza...credo di essere un po' una nerd ! ;-), che mi dite di voi ?. great dress and of course great bag!! io ho la Wii ma mi stufa subito .. penso di averci giocato 4 o 5 volte da quando ce l'ho. Però ora mi voglio imporre di fare ogni giorno mezz'oretta di ginnastica con "il club di fitness" della wii! Great blog you have! Thanks for stopping by and leavin' me some love on mine! I really like the aqua blouse. :) Thanks for visiting my blog and following. I am already following you doll! Dear Vale ur outfit is so amazing!i loved your bag and wedges :))) so beautifull!nice photos too! You look incredible. Such a pretty top and I really like that belt. I love the LV belt! You looks amazing. What a cute outfit. Love the colors and the brands are mind blowing. Bella anche qui! Tutti i dettagli sono perfetti e devo dire che il bauletto di Gucci è il tocco finale! You're looking uber stylish here in these shots! Good luck with your personal project and have fun when you get time off! Thanks for stopping by and commenting! See you soon! I'm loving the shirt and the stole! the colors are so beautiful! Great blog!should we follow each other? Great outfit!! love your bag, your belt, your Custo scarf...Everything!! And the shape of the sunglasses is perfect! Outfit originale! I like it! kiz! mi sn innamorata della tua maglia *_* cmq ankio sn molto impegnata x via del saggio di danza,quindi ankio niente mare e niente sole! i love every single piece! especially the bag and colors!!! the color of the top is awesome,. What is this beach please???? la cosa che mi colpisce sempre delle tue foto sono i magnifici accessori!! :) un bacio! Hey! I have just awarded you with the 'versatile blogger award', check out my last post to see! Love that outfit from head to toe! Everything looks great! i love your top! I am now following you! 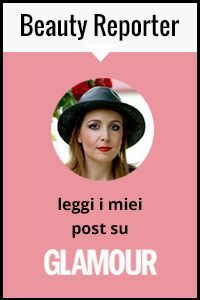 Ciao, passavo di qui per caso, mi piace proprio il tuo blog, credo che da oggi ti seguir..se vuoi passa da me, sono nuova!!! Great bag and scarf. The turq colour suits quite nicely, especially with the beach behind you:) I am one of your followers now. Come by anytime, the-wardrobe-stylist.blogspot.com. La stola di Custo è carinissima! Gorgeous outfit and absolutely love your pics and I want your handbag. Posso leggerti solo per la parte fashion? In cucina sono pessimo e alla vista di quel "cookies" ho sospirato con invidia! questo look è carinissimo!! !sulla borsa poi nemmeno mi esprimo...troppo bella per qualsiasi aggettivo!!! Che carina! :) Mi piace molto il bauletto con la tracolla! thanks for visiting my blog!! i love yours so i'm following u too!!!! Fantástico look!!! Me encanta el bolso Gucci! Very nice. Love the outfit. Ooh...I'm very curious of what project you have in the works. How exciting! You look lovely by the way. Have a good weekend! I love the colour of your dress, your scarf is amazing and you already know that i adore your Gucci bag!! !Well done once again!!! Il tuo outfit mi piace molto e devo dire che dai tuoi post traspare una grande attenzione per il dettaglio che non appartiene proprio a tutte! Brava! Great bag, and where are you? I wish I had a seaside to walk to. It looks so relaxing. Thank you for your comment on my blog. Of course we could follow each other, following now! Your oufit is fantastic! I love your dress and your bag it's so great. Already have a follower! Wow!!! you looks so chic on this outfit!!!! thanks a lot for comment on my blog!!! I follow you since now!!! Love the top and those shoes! Thanks for the sweet, sweet comment! I really appreciate it! i will follow you, follow me back? I love the blog!, I'm going to follow you!! I love how you turned your scarf into a wrap! I also love the color of your top. You look cute ! Enjoy the beach and soak up the sun!! Have a lovely week! love your outfits, you look great! looove your shawl!!! Custo Barcelona is awesome!! !